All media imported to New Spark Platform can be embedded on your website once it has been successfully transcoded by our system. If an image or video has been converted based on an existing default or custom transcoder setting, you will find this on the Media Options page. The transcoded image or video appears on the right of the screen. Note: If the image or video file has not been created for a transcoder profile, a message appears indicating that the file has not yet been created. You have the option of creating it. If a transcoder setting is modified after a file has been created, you can reconvert the file. You may also have to reconvert a file if a problem arises during a conversion. On the Media Overview page, double-click an image or video. 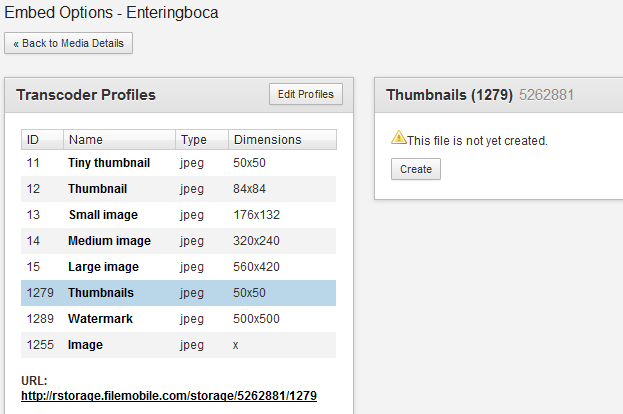 On the Media Details page, under Tools, click the Media Options button. 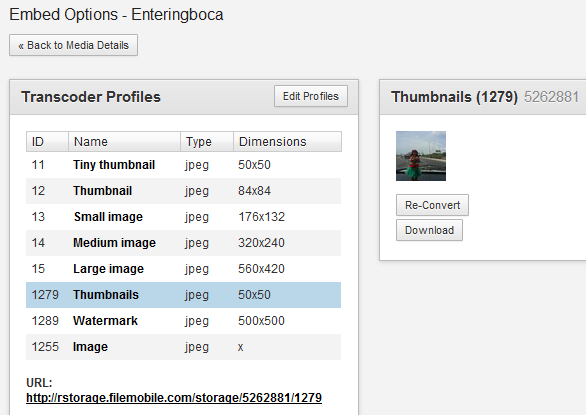 On the Media Options page, under Transcoder Profiles, click the transcoder that has been modified. On the right side of the screen, under the image, click the Re-Convert button. 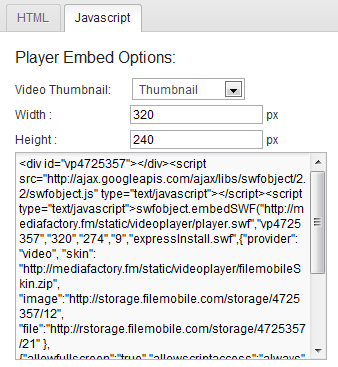 An embed code is used to insert files like images or videos onto your website. A default embed code for each transcoded file is generated automatically, but you can modify these embed codes for videos. Copy the code and paste it on your website. Be the first to comment on Embed Media.